'Young Adventurer's Guide' Book Launch and Party | North Branch Nature Center | Library & Books, Nature & Science | Kids VT - small people, big ideas! When: Sat., April 27, 3:30-5 p.m. 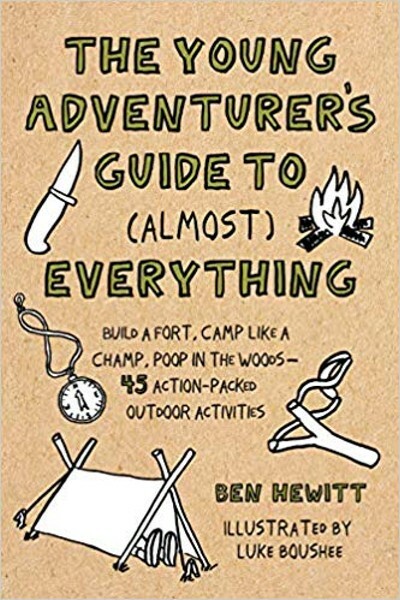 Author Ben Hewitt shares his newest release — The Young Adventurer's Guide to (Almost) Everything: Build a Fort, Camp Like a Champ, Poop in the Woods - 45 Action-Packed Outdoor Activities — with a wilderness outdoor activity fair, reading and presentation for youngsters.